Biolink Poultry Shield - Ready to use is a multi-purpose cleaner and odour neutriliser that helps to eliminate all organic matter including parasites such as red mite. It is ideal for cleaning all chicken coops, house and equipment safely and effectively. It helps to eliminate red mite from your coop. 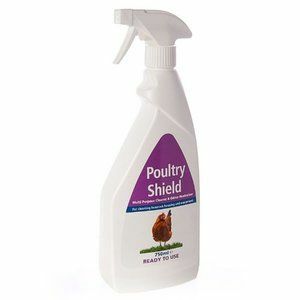 Poultry Shield is widely recognised as the most powerful non-caustic cleaning product on the market.